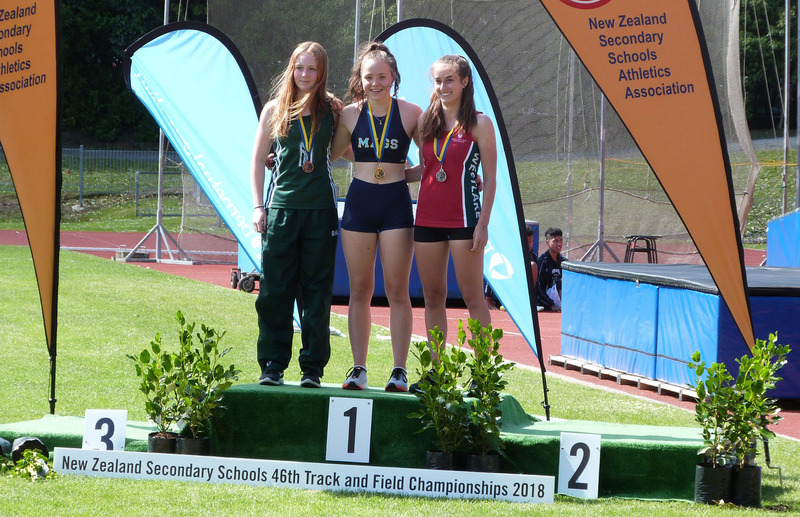 Even a broken finger could not stop Hannah Adye from claiming Gold in the Junior Girls Pole Vault at the NZSS Track and Field Championships in Dunedin. Hannah won Silver in the event last year and went one better this year despite breaking a finger while playing basketball about a week ago. Although hampered by the injury, she decided to just give the championships a go, and once she started she couldn’t be stopped. She attempted the national record of 3.51m, and narrowly missed it. 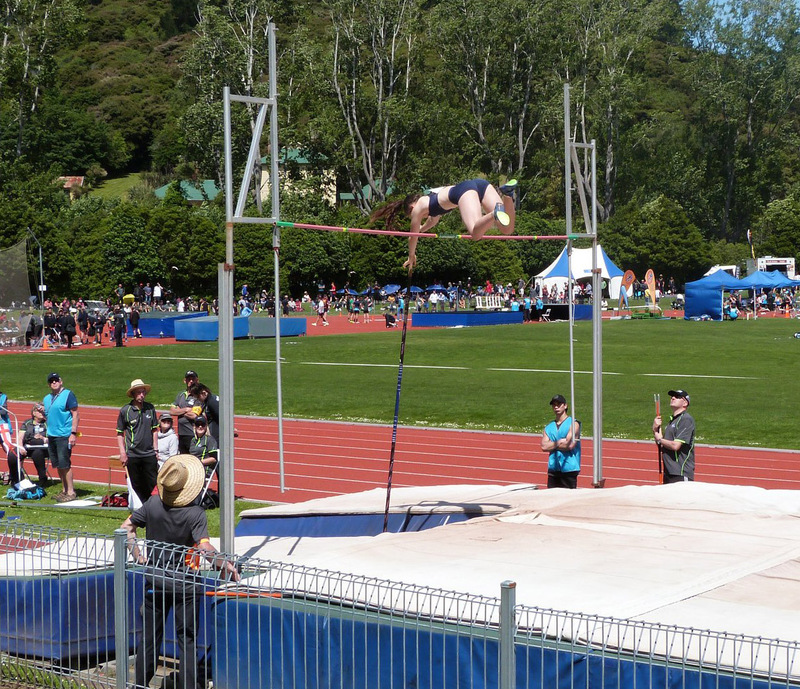 Her final performance was 3.40m and this was MAGS’ first Gold medal at the NZ Schools Champs since Niven Longopoa in 2014. 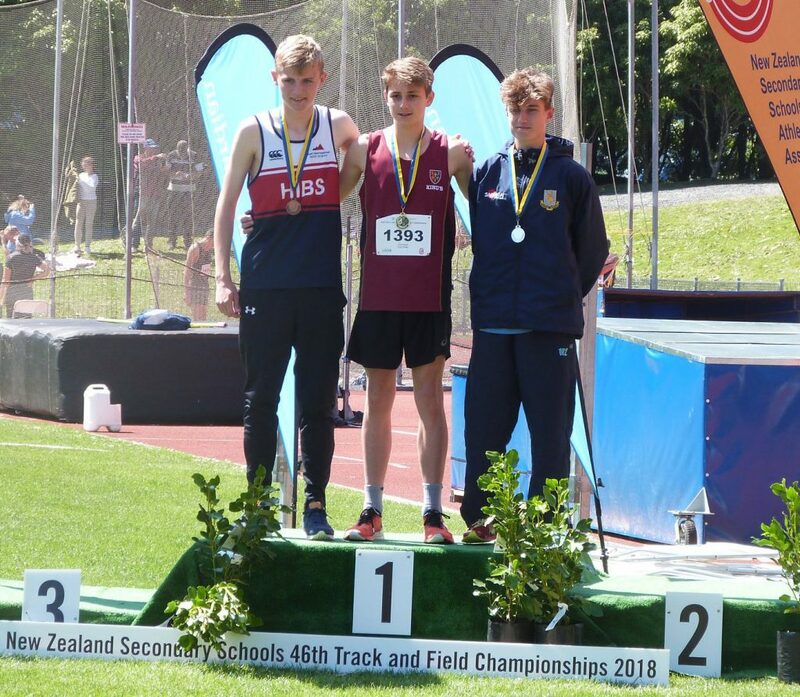 Distance runner Luke Clements, pictured below, also went one better this year, moving up from Bronze last year to Silver in the Junior Boys 2000m Steeplechase. Luke worked his way through the field with rival Zane Powell from Kings College. Luke took the lead with two laps to go and held onto that lead until the last 40m. 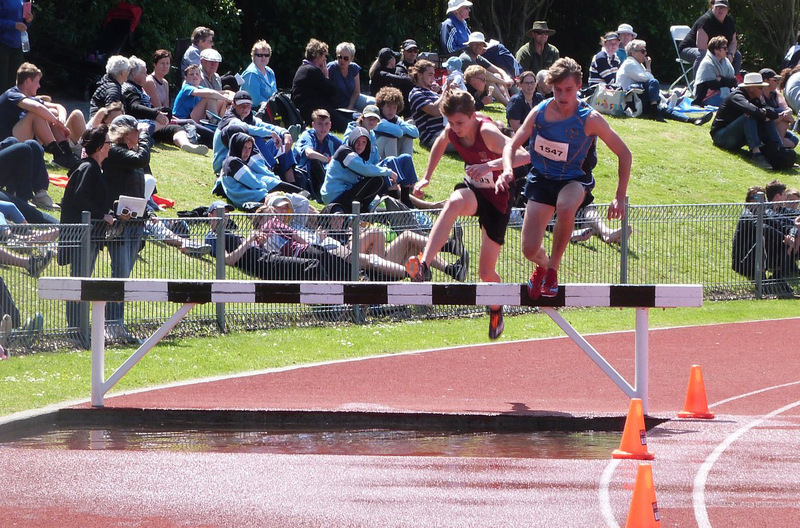 They both had a sprint finish and he just missed out on the Gold to fast-finishing Zane. Luke finished with a time of 6.15.64, which was 18 seconds under his own school record. A fantastic achievement.